← How to Choose the Best Pest Control Company? Did you know that, people who spend more time at work, ideally 3 to 4 hours of overtime every day, increase their risk of getting heart disease? 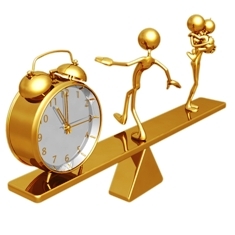 A good work life balance is important for a number of reasons. To start with, you can avoid a number of health issues when you avoid overworking including stress, anxiety, heart attack, depression and coronary heart disease among others. So how do you know whether someone is having a hard time maintaining a good work life balance? Well, you can start by asking yourself these questions. Do you happen to do overtime often? Has your health suffered as a result of overworking? Have your relationships suffered due to overworking? Do you find yourself reluctant to be absent from work even when you are ill? If you answered yes to a majority of these questions then you might be having trouble in gaining a good work life balance. Below are a few tips to help you bring a balance to your life and work routine. Spare some time with friends and family: Family and friends always have a way of helping people to recharge. You can decide to go out with some friends like once every month then spend Sunday afternoons watching a movie with family. Spend quality time with people you love and you will be surprised at how productive the next working day will be. Maintain positive activities and relationships which add value to your life: Another way to maintain a work life balance is by maintaining good relationships with people who will enhance your personal and career life. Avoid spending time with people with negative energy, those who vent so much and even practice idle gossip. These habits will reduce your efficiency significantly and you might never realize it. Concentrate on errands or tasks which you enjoy: Do you really have to do all these errands which will drain your energy? For instance, why should you take part in household chores which are time consuming and hectic if you can afford to outsource them? You can instead use that time to practice gardening, babysitting or any other activity you enjoy as a way of maintaining a better work life balance. Exercise, relax or simply take a walk: You might be too busy and you don’t get enough time to take part in a work out session. However, it is important to spare time to exercise even if you have a busy schedule. You will feel refreshed and re-energized every day. To sum it all up, you should never make unrealistic goals in a bid to obtain a better work life balance. Start by incorporating small changes like leaving the office early once every week. You must also develop the habit of taking part in things which you enjoy. If you love taking a hot bath then do so whenever you feel like you need to recharge. At the end of the day, life has much to offer so make sure you choose wisely.